We’re certain you have more than one, but if we may suggest a 2014 new year’s resolution for you to consider, one which will save you potentially thousands of dollars in years to come; and what is that 2014 new year’s resolution you ask? We’d like to call it the pay less to the bank and more to yourself resolution. What we mean by this 2014 new year’s resolution is that you should evaluate your current mortgage payment set up with your lender to see if there are any ways for you to save more money and pay less interest to them. For example, lenders allow you to increase your regular mortgage payments by a certain percentage. You can call your customer service line, or walk into a branch and inquire about how much you are able to increase your monthly, or bi-weekly, or whichever payment frequency you have currently set up in your mortgage account. By increasing even a little bit of your mortgage payments will allow you to pay down your mortgage by that much more, and this can make some difference in the overall context of your mortgage contractual term. You can also consider making lump sum payments towards paying down your mortgage outstanding balance. As part of your 2014 new year’s resolution try setting a goal that by the end of 2014 you would have saved enough money aside that you can make a lump sum payment on your mortgage outstanding balance. This too can help greatly reduce your mortgage balance if done regularly throughout the mortgage term. If you’re one of the lucky ones in the New Year and have received a pay raise at work, you may even consider contacting your lender to see if they would allow you to lower your amortization. This will increase your mortgage payments, but it will reduce the overall life of the mortgage and therefore help you save money and pay less interest to the lender. It can be very difficult and financially stressful to try to implement all of the above suggestions, especially right after the holidays, however you should take things one step at a time. If you feel it to be too much right now to make these 2014 new year’s resolutions, at least you’re now thinking about it and it is in the forefront of your thoughts and will allow you to plan for the near future with the hopes of trying out at least one or more of the mentioned ways to pay down your mortgage. Remember, we’re here to help you along the way. Holding a mortgage debt is probably the largest debt that you will ever have and it shouldn’t be taken lightly. Contract us here at Trusterra Mortgage for an experienced, professional, and unbiased consultation. Today the Bank of Canada announced interest rate announcement was release. The Bank of Canada is maintaining its target for the overnight rate at 1 per cent and the Bank Rate is correspondingly 1 1/4 per cent and the deposit rate is 3/4 per cent. 1) The global economic outlook is broadly consistent with the Bank’s projection in its January Monetary Policy Report (MPR). 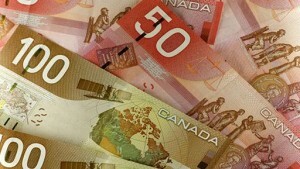 2) Canada’s economy grew by 0.6 per cent at annual rates in the fourth quarter of 2012. The Bank expects growth in Canada to pick up through 2013, supported by modest growth in household spending combined with a recovery in exports and solid business investment. 3) Total CPI inflation has been somewhat more subdued than projected in the January MPR as a result of weaker core inflation and lower mortgage interest costs. Low core inflation reflects muted price pressures across a wide range of goods and services, consistent with material excess capacity in the economy. 4) Reflecting all of these factors, the Bank has decided to maintain the target for the overnight rate at 1 per cent. The considerable monetary policy stimulus currently in place will likely remain appropriate for a period of time, after which some modest withdrawal will likely be required, consistent with achieving the 2 per cent inflation target. The Canadian mortgage brokering industry still has a long way to go in becoming recognized as a primary source of financial services for real estate financing equal to the big banks. What many people do not realize is that Canadian mortgage brokers and agents for the most part get mortgages for their clients from the big Canadian banks and even those with stable income / employment and strong credit scores can still work with mortgage professionals. It’s actually to their benefit to go through a mortgage broker / agent as our services are more specialized and customer service oriented with our clients best interest first in mind. Mortgage Brokers and Agents must study specific industry courses as a minimum benchmark before they can be allowed to get licensed by their respective Provincial regulator. The official national association that represents the mortgage brokering industry is called the Canadian Association of Accredited Mortgage Professionals CAAMP.